Some of the most popular foods in the American diet will age the body and create conditions for sickness and disease to develop. A lifetime of eating foods like pizza, sodas, burgers, fried foods and sweets leave the body weak, malnourished and disease-ready. 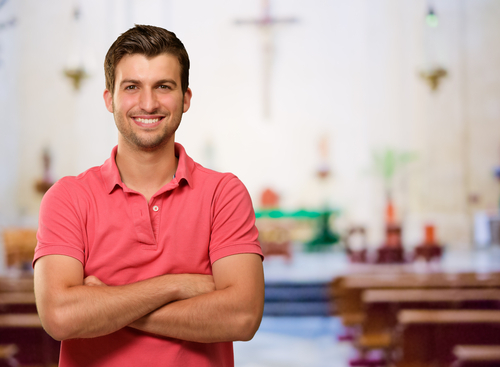 At Hallelujah Diet, we’ve created a unique program to help you re-calibrate your eating habits so your body performs as it should. What is the Hallelujah Diet 60-Day Challenge? The Hallelujah Diet 60-Day Challenge is a free online program that’s designed to replace unhealthy eating habits with foods that help you feel better, look better and function at your very best. 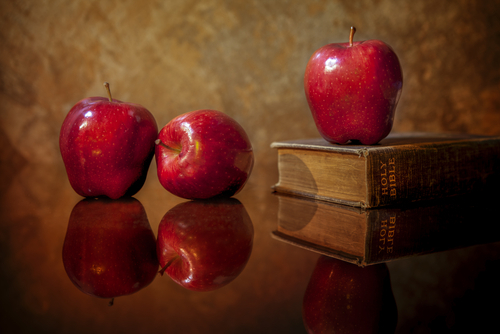 The 60-Day Challenge features a meal plan based on God’s Word as stated in Genesis 1:29: “And God said, Behold, I have given you every herb bearing seed, which is upon the face of all the earth, and every tree, in the which is the fruit of a tree yielding seed; to you it shall be for meat.“ In essence, the body is designed to live on a primarily raw plant-based diet since plants contain “living nutrients” that feed the body’s “living cells.” Keep reading to find out all you need to know to take on the 60-Day Challenge. 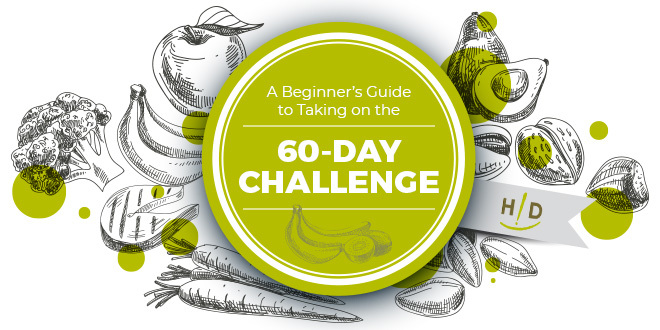 What Does the 60-Day Challenge Entail? In today’s fast-paced world, poor diet, sickness and disease have become a vicious cycle that tears down the body and mind with each passing year. The quality of food the average American eats lacks the substance and nutrients needed to sustain a healthy body with today’s hectic lifestyles. In effect, it’s a cycle of diminishing returns that leads to mental/emotional breakdown and developing diseases, such as diabetes, cancer and heart disease. We’ve received testimonies from around the world about how the Hallelujah Diet has helped people from all walks of life. People who’ve adopted this healthy-eating lifestyle tell of how they’ve recovered from over 170 different physical problems after they started this diet plan. Every single cell in the body relies on enzymes to function normally. Enzymes are the protein molecules that keep chemical activities within the cells running smoothly. As the body ages, it loses the ability to efficiently produce enzymes. As this happens, cells, tissues, organs as well as major bodily systems start to weaken and break down. These conditions open the door for health problems and disease to develop. The Hallelujah Diet is designed to restore the body’s enzyme-producing capacity and support healthy cell activity. Enzyme activity determines how “alive” any one food is and “living” human cells require “living” food for optimal functioning. In essence, this food lifestyle goes to the root of the problem by strengthening the body at a cellular level. The foods that make up the Hallelujah Diet plan contain high levels of enzyme materials. The menu can be broken down into two basic food groups: 85 percent raw food and 15 percent cooked food. The plan also stresses the importance of staying properly hydrated. 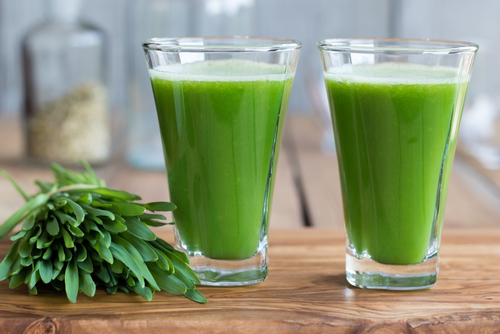 The 60-Day Challenge combines the benefits of a plant-based diet with liquids to keep the body well hydrated. The recommended daily allowance is equal to half an ounce of liquid per pound of body weight. Many of the foods included in the Hallelujah Diet, such as vegetable juices and raw foods, already have a high water content. Water is especially important, as this vital element helps the body’s systems work together in unison. The raw vegetable component coupled with daily portions of distilled water will easily keep you well hydrated. BarleyMax, one of the raw food beverage components, is a key ingredient in the Hallelujah Diet. 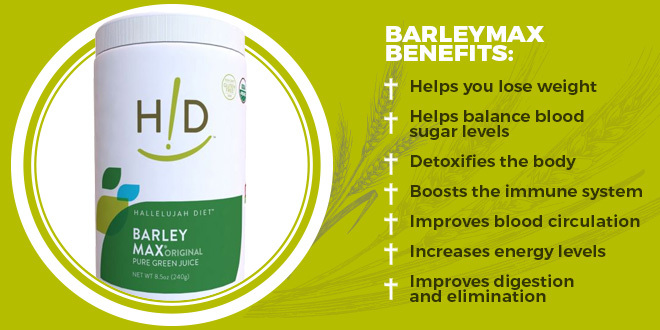 BarleyMax consists of a combination of barley and alfalfa juices that are grown in nutritionally rich soil, harvested, juiced and reduced to a living powder using a special proprietary process. Nowadays, most foods grow in soil that’s been stripped of its natural minerals due to repeatedly farming in the same soil. These missing minerals are important because they promote higher enzyme activity in the food. For these reasons, the barley and alfalfa materials contained in BarleyMax are grown organically in areas known for their mineral-rich soil and clean air. The irrigation or watering process also uses water that’s pumped from deep inside the earth, which also carries a high mineral content. This growing process works to preserve the plant’s life force, giving BarleyMax the widest spectrum of nutrients from a single food source. Healing from sickness and disease is one of the most commonly heard prayers in our churches today. It’s not that God doesn’t hear us because He’s already provided the answer to good health in His Word. God has also told us what happens when we don’t have the information we need to prosper, “My people are destroyed for lack of knowledge…..” (Hosea 4:6, KJV). God’s Word gives us a roadmap for living in every single area of our lives, including what foods we should eat. God’s natural law concerning our dietary habits take into account the human body’s needs as far as nutrition goes. With the proper nutrients, the body can eliminate the toxins that weaken it and ward off sickness and disease. 11 Then said Daniel to the steward whom the chief of the eunuchs had set over Daniel, Hananiah, Mishael, and Azariah, 12 Prove your servants, I beseech you, for ten days and let us be given a vegetable diet and water to drink. 13 Then let our appearance and the appearance of the youths who eat of the king’s [rich] dainties be observed and compared by you, and deal with us your servants according to what you see. 14 So [the man] consented to them in this matter and proved them ten days. 15 And at the end of ten days it was seen that they were looking better and had taken on more flesh than all the youths who ate of the king’s rich dainties. 16 So the steward took away their [rich] dainties and the wine they were to drink and gave them vegetables (Amplified version). The truth of the matter is we already have the information we need to live healthy lives full of vitality and energy. 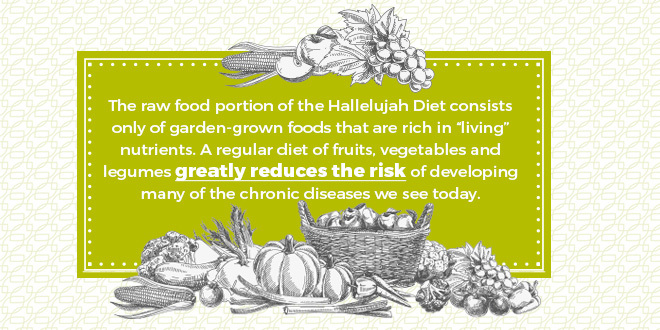 The research and work that went into developing the Hallelujah Diet are drawn from God’s natural laws to help people regain the health and vitality that’s naturally theirs to have. The 60-Day Challenge offers you the opportunity to see for yourself. Every cell in the body is constantly at work, monitoring and adjusting its chemical processes to maintain its original healthy state. This means whenever stress, trauma or injury occur, the affected cells are “pre-programmed” to do whatever it takes to return the area to wholeness. Cells not only can heal themselves but also produce new cells to replace those that have aged or been damaged. Each cell’s ability to do this resides within its DNA code. As long as the body can supply its cells with the building materials they need to function, it’s more than able to ward off sickness and disease. It’s only when we deprive our bodies of essential vitamins and nutrients that sickness and disease can gain a foothold. The 60-Day Challenge equips you with the tools you need to eat right, which will revitalize the body’s cells and tissues. 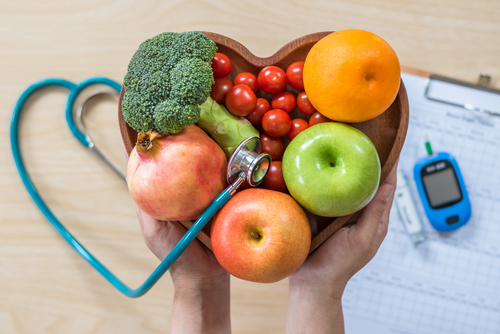 Once the body’s nutritional needs are met on a cellular level, you can expect to see noticeable improvements in your overall health. This is what happens when the body gets what it needs to thrive. As you progress through the 60-Day Challenge, the natural cleansing effects of the Hallelujah Diet will start pushing toxins out of your body. Toxins enter our bodies through the food we eat, the air we breathe, the medicines we take and even some of the products we use every day! Once inside the body, toxins enter the bloodstream and build up inside the cells and tissues. 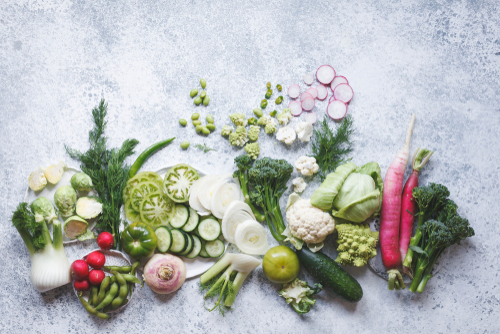 As toxins start to leave the body, you may experience mild detox symptoms, such as coughing up mucous, flu-like symptoms, headaches and mood swings as your body adjusts to healthy food. Keep in mind that your body has likely been accumulating toxins for years and the severity of symptoms you experience is directly proportionate to the level of toxins leaving the body. In other words, these symptoms are not only natural but are a clear sign that the body is returning to its natural, healthy state. Sign Up for the “60-Days to Reclaim Your Health” Challenge! Now that you know how the 60-Day Challenge works, it’s time to take that first step towards reclaiming your health and vitality. This program provides you with a life-long guide to wellness that rebuilds the body and wards of sickness and disease. Just sign up from here and we’ll walk you through it.